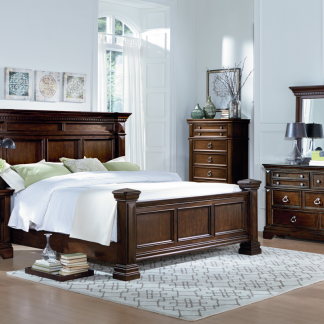 With elegant detailing and rich inviting finishes, the beauty of the Arcadia Collection transforms the look and feel of any bedroom decor with the elegance of a warm traditional design. 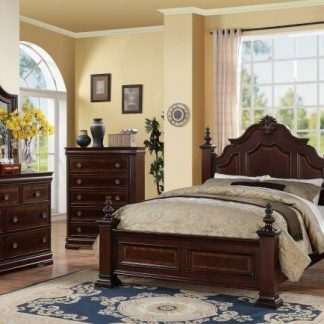 With a replicated mahogany grain bathed in a deep dark red finish along and glossy faux marble tops, this collection flawlessly captures the true beauty of Old World style. 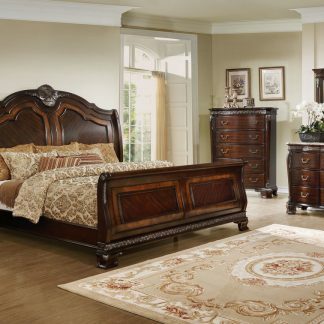 The intricate details of this sleigh bedroom makes the Arcadia Collection the perfect choice to enhance the beauty of any home. 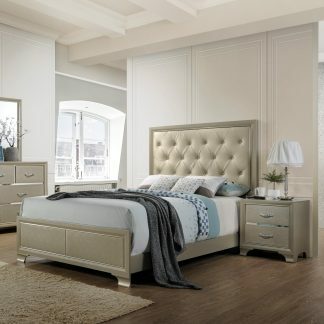 The set includes a queen bed frame. Dresser and mirror are sold separately. Purchase the chest and get a free nightstand.